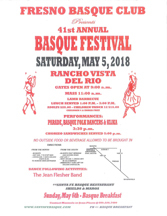 The Fresno Basque Club is hosting its annual Basque festival this Saturday, May 5th at Rancho Vista del Rio. Doors open at 9am with festivities beginning at 11am with mass, followed by a lamb barbecue served at 1pm. Cost of the lunch is $20 for adults and $10 for children 12 and under. 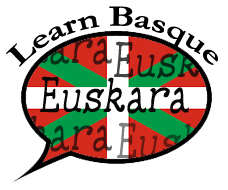 The afternoon will be filled with a parade, and Basque dance and Klika performances. There will also be Chorizo sandwiches served at 5pm. After the festival, there will be a public dance to the music of the Jean Flesher Band, at the Santa Fe Basque Restaurant. The Santa Fe will also be the site for a Basque breakfast on Sunday morning. 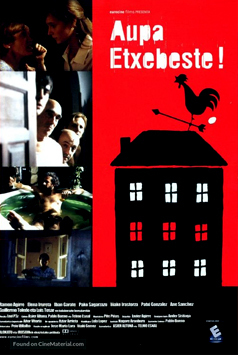 For complete information including directions to the festival, click on their flier here. 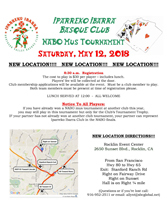 The Iparreko Ibarra Basque Club will host its annual Mus Tournament on Saturday May 12th at a new location: the Rocklin Event Center (2650 Sunset Blvd.). Tournament registration will begin at 8:30am and cost to participate is $30 per player that includes lunch. Tournament fees, as well as club membership will be payable at the door. 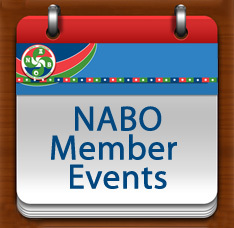 As always, membership is required to participate. Lunch will be served at noon, and everyone is invited to join in. For complete information, including directions to the convention center, click on their flier here.